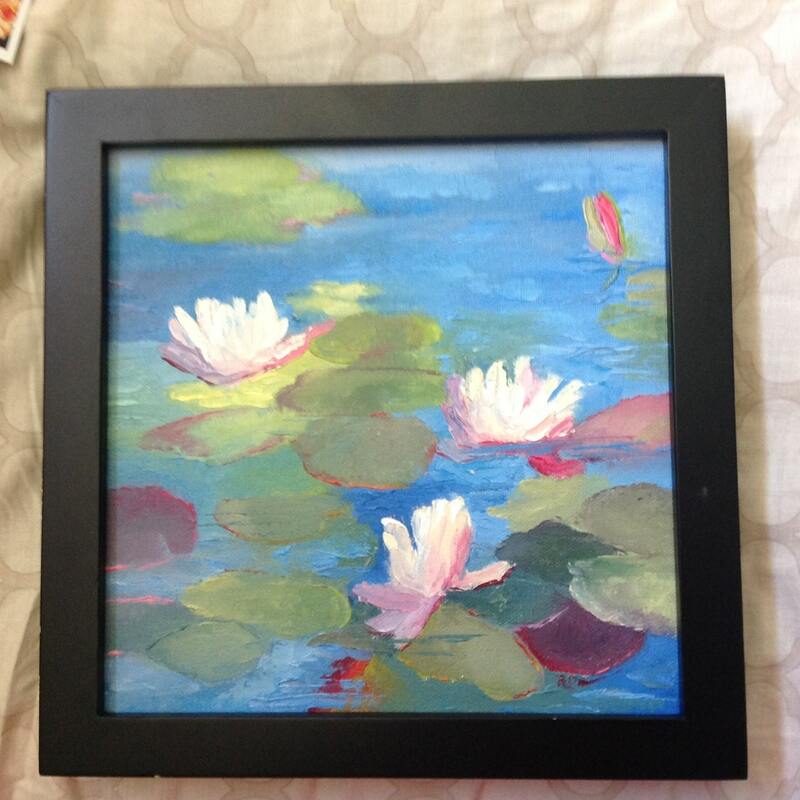 THE WATER LILIES is a 8” x 8” Unframed painting on a canvas panel. 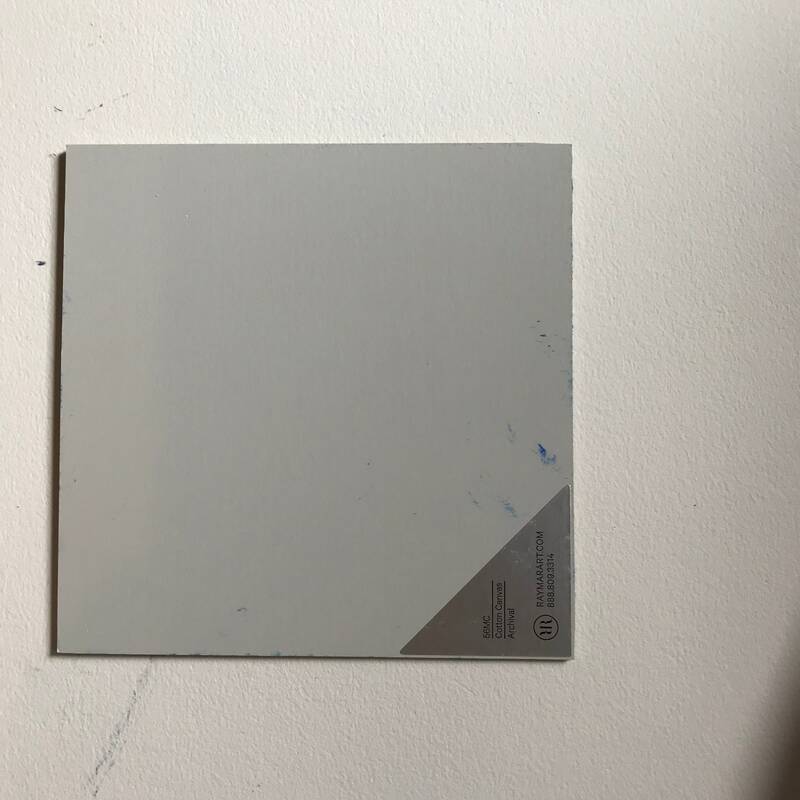 This is a wonderful mini masterpiece that fits so well on the office desk or a little shelf in your house. 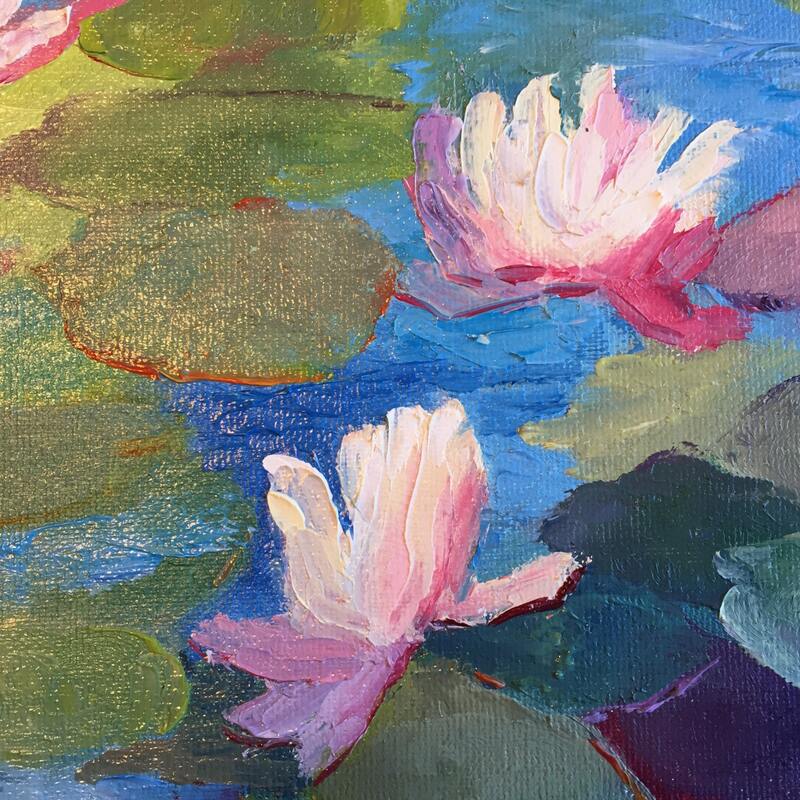 The painting is of some flowering water lilies in shades of ivory, pink and lavender. 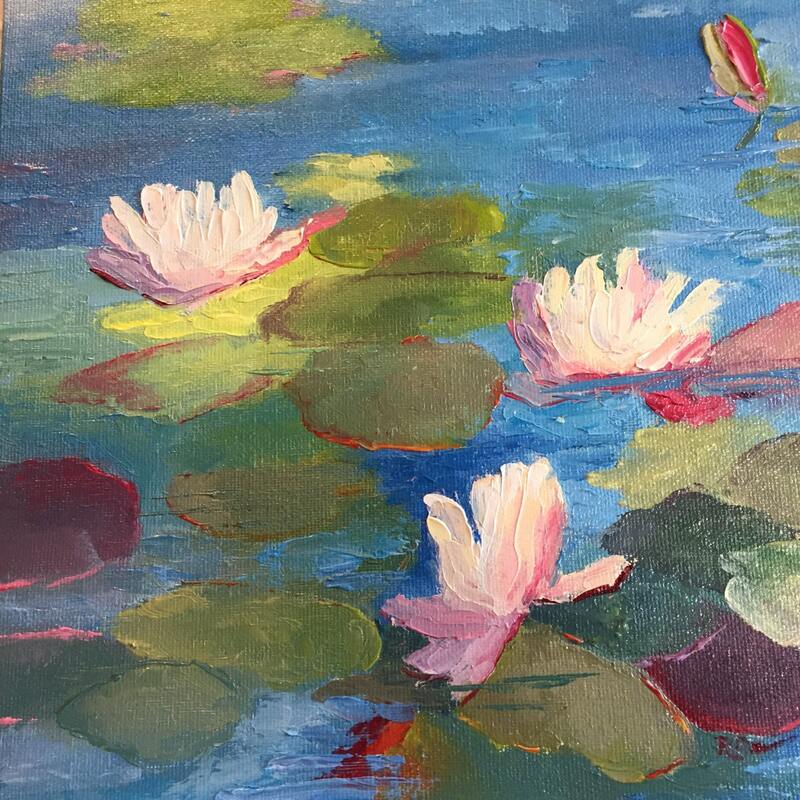 The lily pads are various shades of teals, apple greens, olive greens and cobalt blues. It would set off any room you put it in. If you pick out one of the colors in the painting and match a pillow, vase, or throw to it, it would light up the room. This is a really special painting that would make a wonderful gift. The way it is painting is reminiscent of the Monet Water Lilies. The painting is on a high-quality professional-grade canvas art board, which makes it easy to frame. The panel is 1/8" thick. One of the pictures shows what the painting would look like framed. It doesn't come framed, but if you would like the painting in the frame shown, email me to revise the price. The frame shown, plus extra shipping would cost an additional $25, for a total of $65.